Why Would One Consider a Master’s in Health Administration? Are you wondering how considering a Master’s in Health Administration can benefit you? If you are currently working in the field of Health Administration, you may be wondering how an advanced degree can help you advance your career and open up new opportunities. A graduate-level degree can help you qualify for upper-level positions within the field of administration and pay increases in your current position. In addition to this, a Master’s degree can help you improve your reputation as a professional so that many different employers in the healthcare system compete for you to become one of their valuable assets. If you are wondering whether or not a Master’s in Health Administration is worth the investment of your time and money, read on and learn about the benefits and opportunity costs you should weigh in your decision. When you are sifting through all of your career options, it is important to compare employment statistics in each field. By doing this, you can choose a stable field that is on the verge of expanding where demand is predicted to be high in the future. 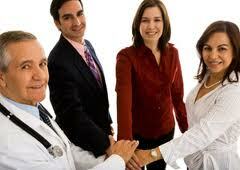 Healthcare Administration is high in demand for a number of different reasons. One of the main reasons why there is a growing demand for administration specialists and administrators is because of the growing aging population. As demand for healthcare services continues to rise, the need for more experienced administrators will grow. While those who have experience and a formal undergraduate level degree are in demand, those who have an MHA are preferred because they are equipped to deal with challenges. The growing population of baby boomers is not the only reason why the need for healthcare administrators is on the rise. With the recent changes in Healthcare Reform laws, there has never been a greater need for candidates who possess a Master’s in Health Administration. If you study to earn your MHA, you will have peace of mind in knowing that employment in the field is predicted to grow by 22% in the next decade. This figure translates into stability, and those who will be actively seeking upper-level positions in the field will have much more of a chance of securing a position quickly. With stability also comes a high earning potential. In fact, rated as number 8 on the Forbes Best and Worst list, the average salary of a MHA holder is $87,800 per year. What Are the Costs of Earning Your MHA? You can find positions with Health Providers, Suppliers, Insurance Organizations and Policy Organizations when you have an MHA. While experience is required for advanced positions, earning your MHA comes at a cost. Not only do you have to consider the cost of earning a degree, you must also consider what your time is worth. Once you consider these costs, you need to also assess how long it will take to earn the money you spent earning a degree. The demand for Master of Health Administration degree holders is on the rise. If you want a higher salary and more opportunity, earning this degree may be a good option. If you are still considering a Master’s in Health Administration, think about the benefits, the skills you will attain, and how the degree will strengthen your resume.